This year, the IRS is cautioning taxpayers to be extra vigilant because of a 60 percent increase in email phishing scams over the past year. This is particularly disheartening, since it comes on the heels of a steady decline in phishing scams over the previous three years. Tax transcript scams. In these scams, victims are conned into opening emails appearing to be from the IRS with important information about their taxes. Unfortunately, these emails are bogus and contain malware. Threatening emails. Also appearing to be from the IRS, these phony emails will have subject lines like “IRS Important Notice” and will demand immediate payment for unpaid back taxes. When the victim clicks on the embedded link, their device will be infected with malware. Refund rebound. In this scam, a crook posing as an IRS agent will email a taxpayer and claim the taxpayer was erroneously awarded too large a tax refund. The scammer will demand the immediate return of some of the money via prepaid debit card or wire transfer. Of course, there was no mistake with the victim’s tax refund and any money the victim forwards will be used to line the scammer’s pockets. Phony phone call. In this highly prevalent scam, a caller spoofs the IRS’s toll-free number and calls a victim, claiming they owe thousands of dollars in back taxes. Those taxes, they are told, must be paid immediately under threat of arrest, deportation or driver’s-license suspension. Obviously, this too is a fraud and the victim is completely innocent. 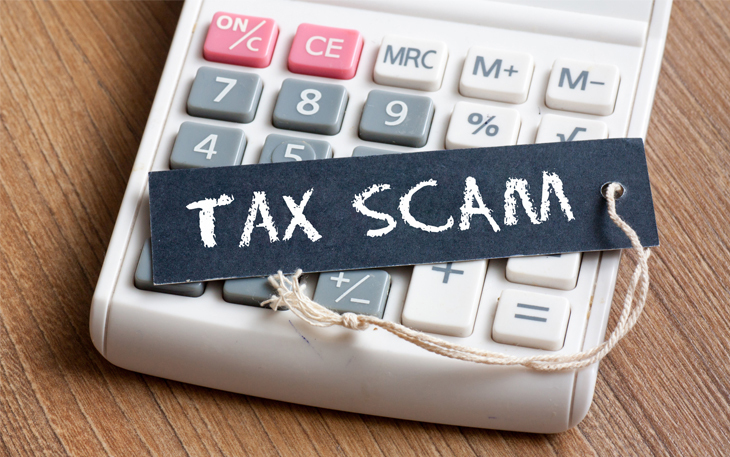 If you’re targeted by a tax scam, report the incident to help the authorities crack down on these crooks. Forward suspicious tax-related emails to [email protected]. You can also alert the Federal Trade Commission at FTC.gov.